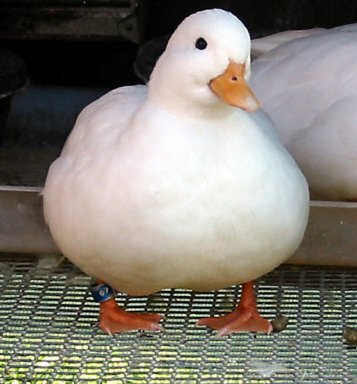 Butterball Winning Champion Bantam Duck at the 2005 Midwest All-Waterfowl show! My line of white calls has done extremely well in the past years. Winning many champion and res. champion bantam duck awards as well as many BB and RB. 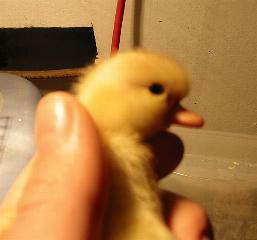 The breeding flock started with select birds from Art Lundgren and Daphne Mays. I was able to raise many excellent birds from my start and have built up what I think is one of the most productive white call flocks in the United States. 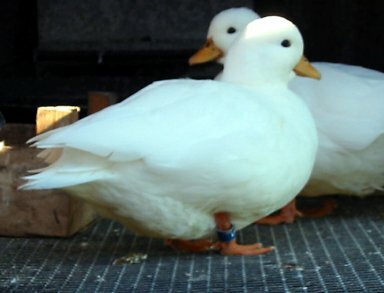 My whites are to a point where I am consistently producing top quality ducks. And thats how I want them to stay! On Champion row at the 2007 NCBA and APA joint national winning Res. Bantam duck and Res. Waterfowl of the show with "Amber Rae"
Amber Rae- 2007 Res. National Champion call duck!